Create a Gofundraise Account to easily manage your fundraising pages, manage your team, contact your sponsors, view donations/purchases, manage scheduled donations, and update your profile all in one location. Complete the form and click 'Sign Up' OR choose to 'Connect with Facebook' to use your existing Facebook Login details. 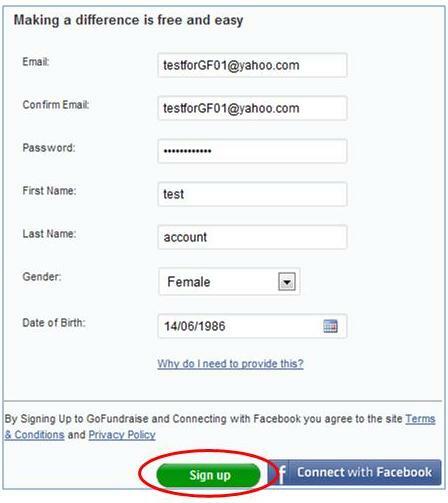 We'll log you into your new GoFundraise account automatically. In the top right corner of the page, instead of Login/Sign Up you should see My Account and Logout buttons.